This hot offer is back! 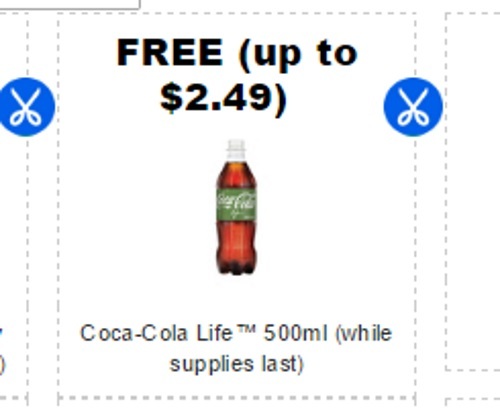 Get a Free Coca Cola Life 500ml bottle when you redeem the coupon on Coupgon! Value is up to $2.49. This offer is available while quantities last. Clickable for 13 days (at time of this posting). Please note what retailers accept the Coupgon app here.